Disclaimer: I was provided with products to review for this post, your views may differ. I was not otherwise compensated. Thank you. MINECRAFT STORY MODE IS HERE! 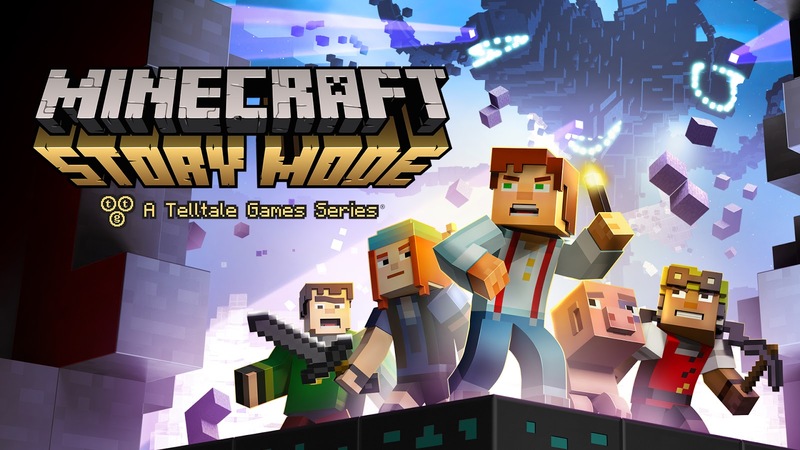 You can enter to WIN a code for a copy of Minecraft Story Mode on STEAM! All you have to do, to be in with a chance of winning the prize, worth $24.99, is to enter the giveaway, below! RULES: You must reside in the U.S.A to win and must sign up with a valid email address so we can contact you if you do win. We do not use your emails for anything else and your information is never sold or shared freely. Winner will be notified within 24 hours of giveaway end and the prize will be a code for Minecraft Story Mode, on Steam, which will be emailed to our verified winner for immediate use! Giveaway ends 12/20/15 - Just in time for Christmas!! This game is amazing. I will love play it. I would give this to my son. He really loves these games and was even one of the characters for Halloween. I know he would enjoy playing it! My daughter just asked for this game!